Sign & Print Protectors by Clip Strip Corp. are very effective product merchandising or store communications display materials. 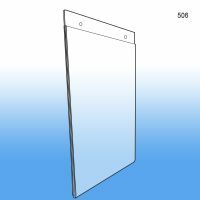 These sign holders can be used on their own attached to any smooth surface via a wall mount or any flat display option with a host of different adhesive or fastener options, they can also be used with countertop bases to form a display or easel. We carry many other flat surface sign holding products, and if you need other retail signage holding products, we have hundreds to choose from. 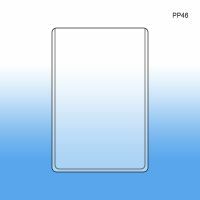 Minimum quantity for "4" x 6" Sign & Print Protector, PP46" is 25. 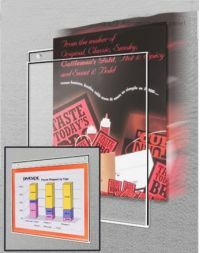 Minimum quantity for "5" x 7" Sign & Print Protector, PP57" is 25. 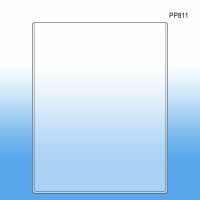 Minimum quantity for "8 ½" x 11" Sign & Print Protector, PP811" is 25. 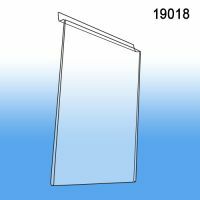 Minimum quantity for "8.5" x 11" Slatwall Acrylic Sign Holder, 19018" is 1. O.D. 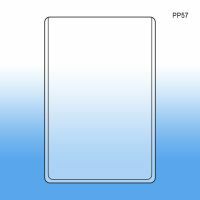 8 ½" x 11"
Minimum quantity for "8.5" x 11" Protected Clear Face Pocket, PFB-85011" is 25.